Bright Ice introduced us to this absolute stunner in 2011 on the Show Me the Bling Forum at PriceScope. 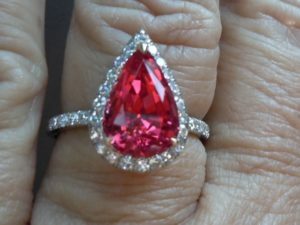 This glorious spinel provides a bright pop of color, a brilliant addition to Bright Ice’s already enviable collection. The setting expertly cradles the Spinel here. The use of space in this ring is divine, it is truly unique. 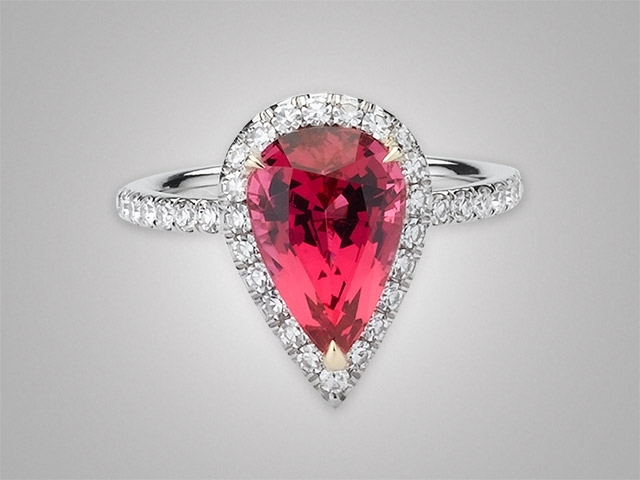 This ring is incredibly evocative; as a result it is at once, delicate, feminine, bright,and bold. 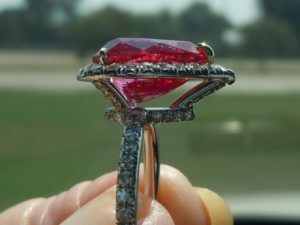 The Mahenge Spinel was sourced from SWALA . The setting, created by PS favorite Victor Canera, is above all magnificent. with .79ct diamond single cuts set in Neo French pave, platinum with 18kt gold prongs.